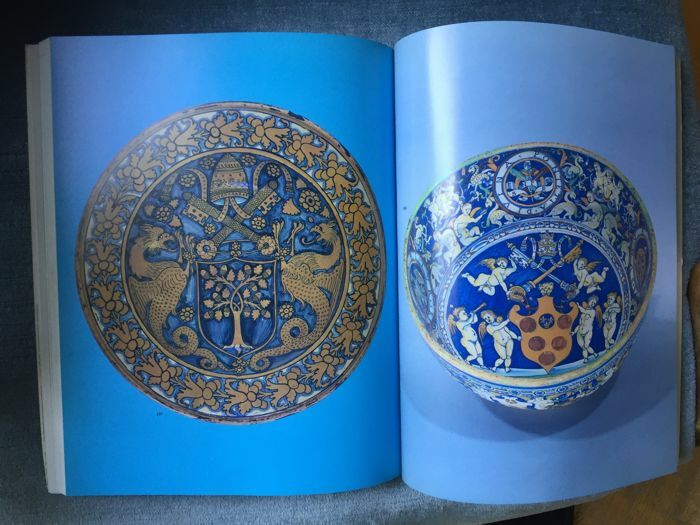 1) Galeazzo Cora: La Maiolica di Cafaggiolo. 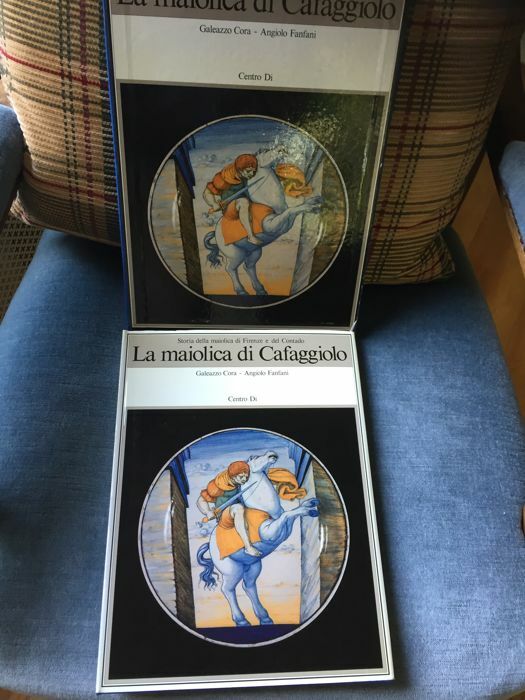 Bound, blue fabric, illustrated dust jacket in colour, ditto slipcase, 31 x 22.5 cm., 191 pp., profound illustration in colour and black and white. 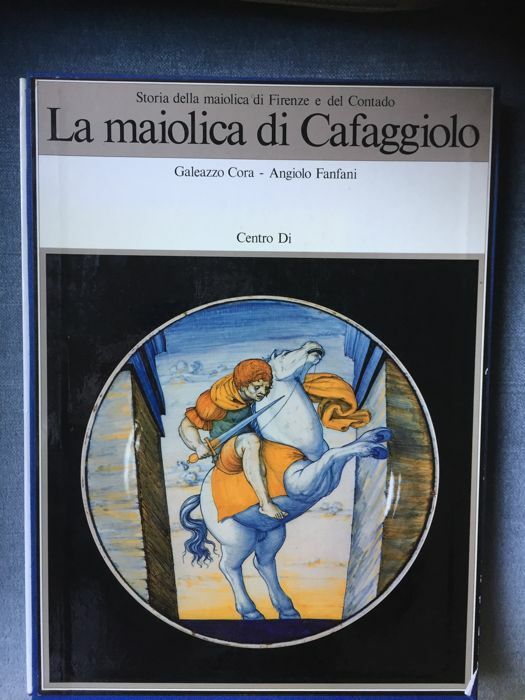 Publisher: Centro Di 1982, Italian language. 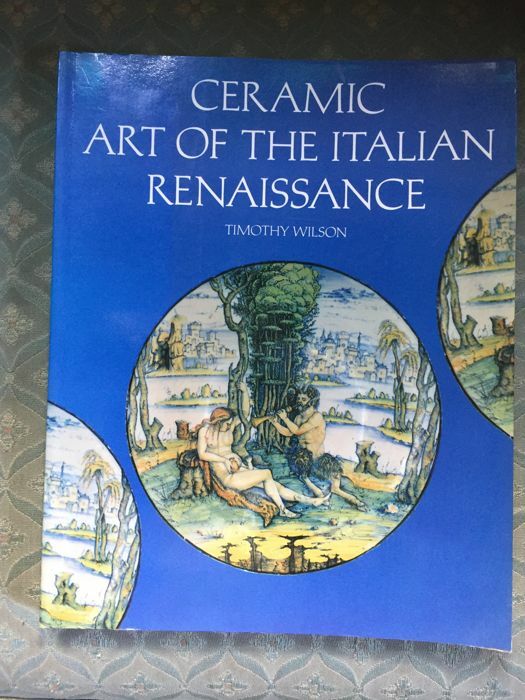 2) Timothy Wilson:	Ceramic art of the Italian Renaissance, written in English. 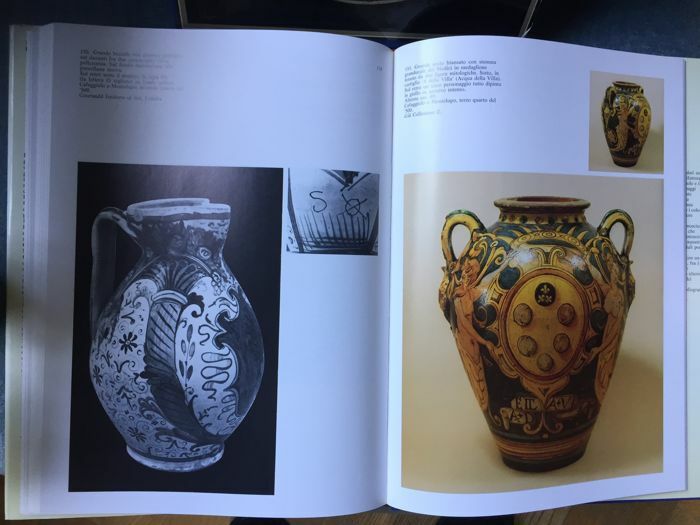 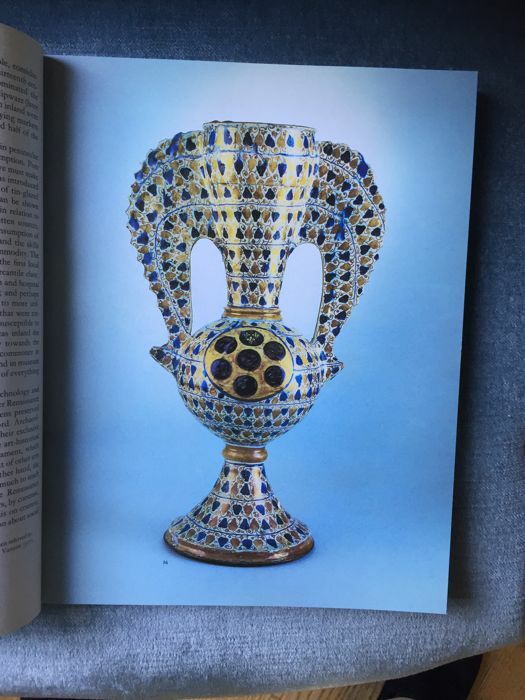 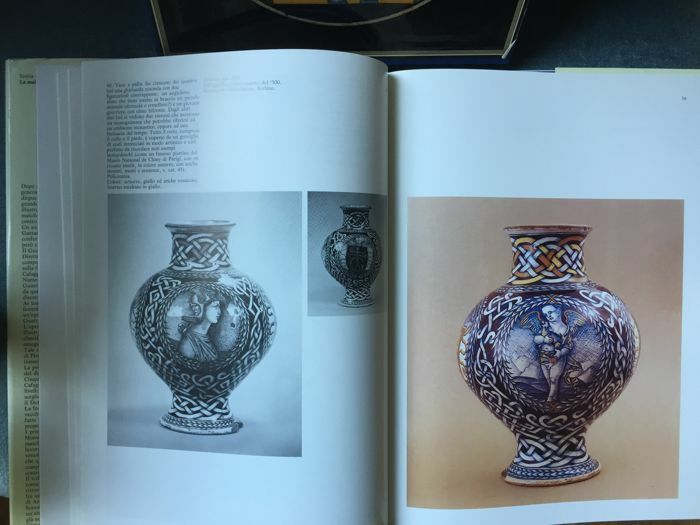 Splendid overview about the Italian ceramic art with many coloured and black and white images, paperback, 192 pp., in superb condition. 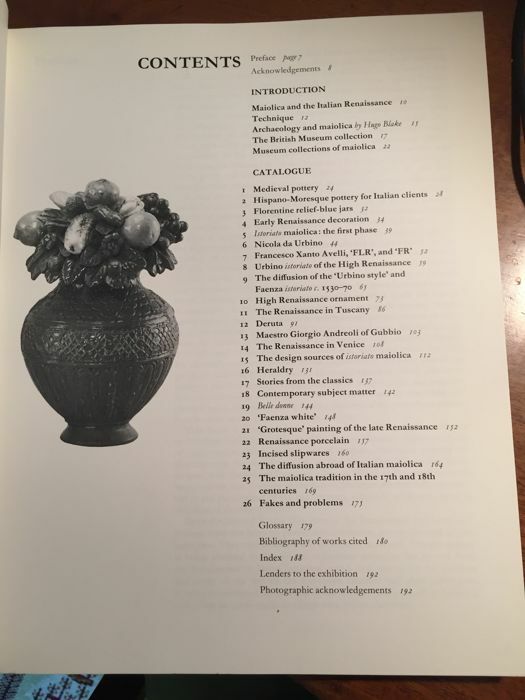 Shows and describes bowls, plates, jugs, bottles and dishes made in Renaissance Italy, and explains how the pottery was made.